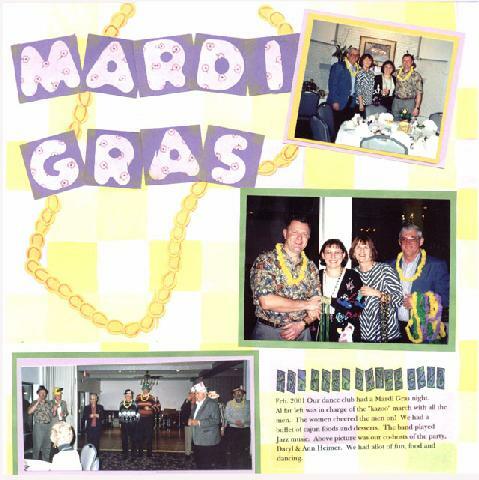 Our dinner dance club had a Mardi Gras night. Necklace made from teardrop thumb punch. The background colors didn't show up very well.